Lead & Nickel Free! Exclusively Ours! An Allan Robin Design! 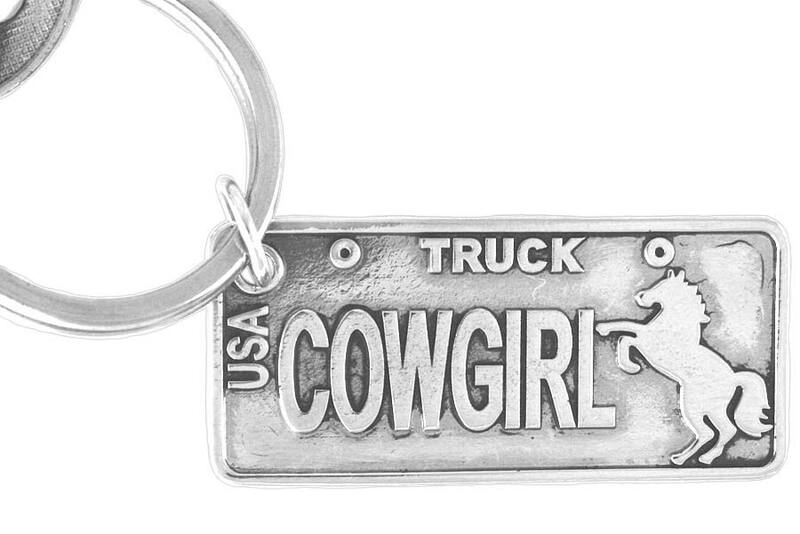 Silver Tone Key Chain Suspends A "Truck" License Plate That Says "Cowgirl" Next To A Horse. 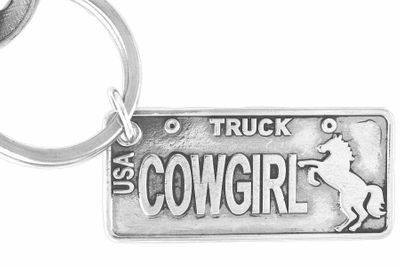 Key Chain Measures 2"L x 7/8"W.
Check Out Necklace W14114N Below!